Alison received her Masters of Science in Clinical Embryology and Andrology from Eastern Virginia Medical School in 2005. Alison is certified as a technical supervisor from the American Board of Bioanalysis and is a member of the American Society for Reproductive Medicine and the New England Fertility Society. Alison is the Operational Laboratory Director at the Center for Advanced Reproductive Services at the University of Connecticut Health Center in Farmington, CT. She has over 15 years of experience as a clinical embryologist and is proficient in all aspects of embryology including blastocyst biopsy and embryo and oocyte vitrification. Alison’s career and passion for embryology started at Brigham and Women’s Hospital in Boston, MA under the guidance of Dr. Catherine Racowsky. She worked there for 4 years learning everything from the ground up and grew to appreciate the process of IVF in its entirety. Alison then had the privilege of working with the late Dr. Lynette Scott at the Fertility Centers of New England where she was the Embryology laboratory supervisor for ten years. 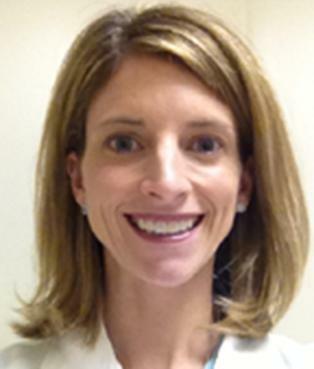 Alison and Dr. Scott were part of the first team of embryologists in the United States to work with the Embryoscope. In 2012, shortly after the death of Dr. Scott, Alison and the team at Fertility Centers of New England reported the first US births after in-vitro culture in the Embryoscope. Alison takes exceptional pride in the fact that she had the opportunity to be mentored by such extraordinary leaders in the field of Embryology. She has flourished in her new role at “UConn” which began in July 2012 and has enjoyed sharing her expertise and skill with a dynamic team. Alison received her Bachelors of Science degree in Animal Science from the University of Massachusetts in Amherst MA. She received her Masters of Science in Clinical Embryology and Andrology from Eastern Virginia Medical School in 2005. Alison is certified as a technical supervisor from the American Board of Bioanalysis and is a member of the American Society for Reproductive Medicine and the New England Fertility Society. She has authored and co-authored multiple peer reviewed articles on embryo morphology predictors of embryo potential. Her current interests continue to include embryo morphology, non-invasive methods for assessing embryo competency as well as improving laboratory conditions to maximize patient outcomes.